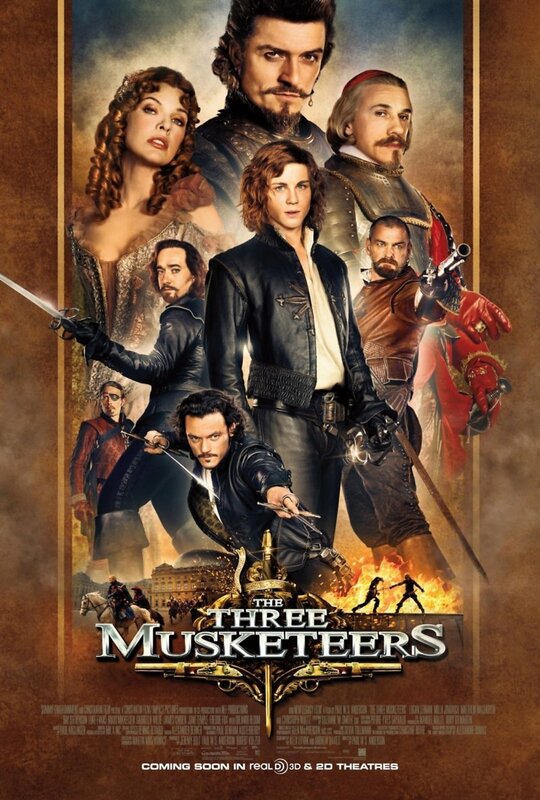 The Three Musketeers DVD and Blu-ray release date was set for March 13, 2012. Although Athos, Porthos, and Aramis are men of legend thanks to their service as Musketeers, the group is broken up by infamous Cardinal Richelieu when they fail in a seemingly unimportant mission. Each of the men individually run into the young D’Artagnan and arrange duels with him for his arrogance. When they all arrive for the agreed upon duels, local authorities try to apprehend the group. D’Artagnan helps fight off the men, and the ex-musketeers are impressed with his efforts. They soon learn that the Cardinal is planning to overthrow the kind, so they begin to plan on how to best save the country.